Want to hear some of Floyd Mayweather’s success lessons? Love or loathe the flamboyant Floyd “Money” Mayweather, there is a lot we can all learn from his meteoric success in and out of the ring. 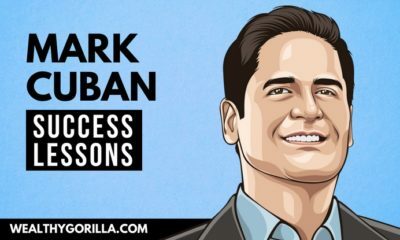 There’s no ignoring what he’s managed to achieve not only in rising to the top of arguably one of the world’s toughest sports (mentally and physically), but as a businessman with his ever-thriving empire. Mayweather is one of the richest athletes in the world, and he’s only getting richer. But many see Floyd Mayweather’s massive success today, or any other highly successful person for that matter; and may not realize what really goes on behind the scenes to make it happen. It’s not just pure talent, which he undoubtedly has in spades, and luck has nothing to do with it. 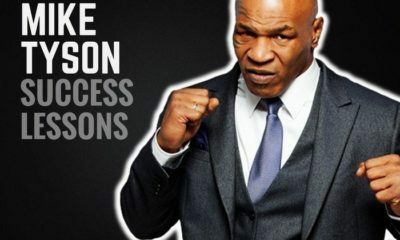 Despite what your opinion of him is, there’s much we can learn from the boxing star about achieving success in business and life, and the following 5 success lessons are the underlying principles behind his accomplishments. Keep these things in mind as you pursue our own path to success and prosperity. The unshakeable belief that Floyd Mayweather has in himself and his potential is the foundation of all his achievements. All of his dedication, hard work and sacrifice stem from this strong, never-ending belief. If you look closely at any great success story you’ll see the same thing – it all started as a vision in their minds, a vision that they FULLY believed in with every fibre in their being. If you believe something strongly enough, and for long enough, your actions will start to catch up with your dominating thoughts. And your vision will very likely become your reality. If you’ve heard the saying “brainwash yourself to success” before, this exactly what it means. Whether Mayweather is the greatest boxer of all time or not is something that could be argued all day long (and is in forums and on social media), it doesn’t matter to him because he truly believes he is a great and amazing things have sprouted from this belief. Greatness truly does start in the mind – it’s not something that just magically falls in your lap. It must be carefully planned for in advance and reinforced in your mind over and over again. To become a true great in any chosen field and rise over your competition, you must maintain an intense focus over the long haul to master your craft – whatever it may be. Floyd Mayweather fans and haters alike can all agree on one thing: there’s no denying his incessant, intense work ethic to becoming a stronger, smarter and better boxer. Mayweather may sometimes portray a party bachelor lifestyle. But behind the scenes he is a true machine and sets a very high standard of hard work for others to follow. His discipline is constant, he trains like a man possessed, eats a very strict diet, doesn’t drink alcohol, and doesn’t gain some weight in-between fights like many boxers do. Mayweather is also forever a student of boxing, constantly tweaking, improving, analyzing his techniques and strategies, and bettering himself in and out of the ring. His fluidity and ability to continually adapt is a huge reason why he has stayed at the very top of his game for so long. What separates the good from the great, the successful from the highly successful, the Mayweathers from the long-list of “good” boxers? It all comes down to superior desire and drive. 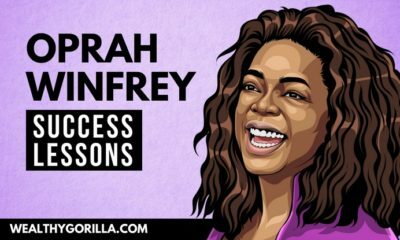 When some athletes, musicians, actors, business-people and other successful people reach a certain level of success they can become complacent and lose some of their drive. But the true greats retain their relentless attitude to keep pushing their limits to see what’s possible and go down in history forever. Floyd Mayweather has more money that he knows what to do with. He has accomplished more in his sport than most in history. 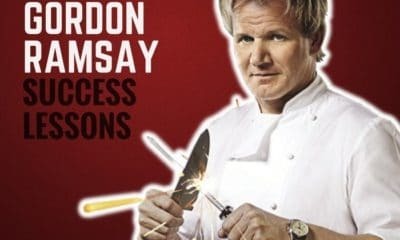 Yet his hunger is still as intense today as someone who is just starting out from the bottom. On camera you always hear Floyd talking about his deep appreciation for his loyal, hard-working and talented team. He has said many times there’s no way he would have achieved what he has without the people around him. His trainers, his support group, and his business associates who’ve helped him to build his thriving business empire. Look closely at ANY big success story in any area of life and you will see the same thing. There’s always a close knit team of good people focused on the same vision; all with varying skills and knowledge to bring to the table. If you want to achieve great success in whatever you do, you NEED a trusted team and quality support group of advisers, managers and experts that compliment your own strengths. You can’t do it all alone, and bringing in great people to help you will propel you much faster towards your overall vision. Last but definitely not least, a look behind the curtains of any “nothing to something” success story wouldn’t be complete without mentioning sheer tenacity and will. It is a true foundation of any worthy achievement. Tenacity is something Floyd Mayweather has in spades. 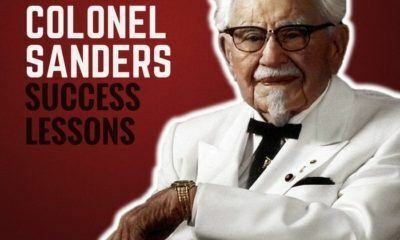 You may look at his current undefeated record and think he’s had a nice smooth ride to the top. But it’s been far from that. He has had to overcome much adversity along the way, and many obstacles in life before his boxing career ever started. 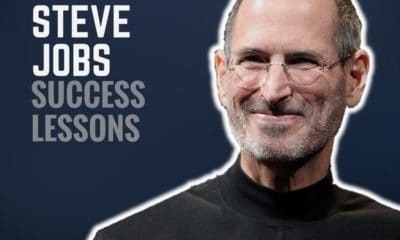 No matter what he went through, he never gave up on his dream to become the best at what he does and to also achieve great business success. If you want to become successful; the most important thing you could ever do is firmly resolve that you’ll never give up no matter what happens and embracing any adversity. Adopting this champion mindset will get you what you want in due time. 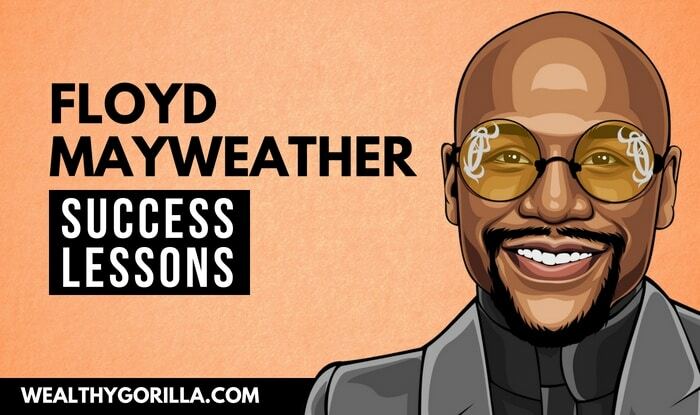 How many of Floyd Mayweather’s success lessons do you agree with? Leave a comment below. Julien David is a serial online entrepreneur, internet marketer, blogger and the founder of LimitlessTenacity.com where he shares everything he’s learned about making money online and starting profitable online businesses. Julien started his first money-making site at age 18, quit his job at 22, and has been earning a living online ever since. I wish I see one of his fights……powerful quotes that fits in all walks of life!!! !